To both of you, the real Bible IS inerrant, it does NOT have contradictions, it just contradicts unbelievers who want to dismiss truths from it as “somebody’s view of the Bible”. A big problem today is the corruption that creeps into congregations of believers and wolves in sheep’s clothing who go to cementeries (that’s right, cementeries) where weaker faith is buried under an onslaught of Hebrew and Greek lexicons and old manuscripts “rescued” by thieves like Tischendorff from a trash can in a monastery (Sinaiticus) or by unbelieving scoffers like Westcott and Hort from the dungeons of the Vatican (Vaticanus). Here come the guys educated in languages who think the language of spiritual things can be discerned for “translation” by things of this world, so they grab dictionaries based on lexicons written by Hitler’s “Christian” spiritual adviser Gerard Kittel (search it, look it up). No wonder modern “translations” say “slave” instead of “servant”, Christians forget that the laws of Moses BANNED enslaving anybody, and no wonder that Christians read words like “holy race” and think nothing of it when it should be “holy seed”. Spiritual truth: There is only ONE race, it’s the HUMAN race. Amen to that, thanks for your comment. Much appreciated. Its is so true that a great number of media people have no spiritual knowledge of the word .They may know the Bible as a book from cover to cover but not the word for it is only by faith that we can understand it. and faith comes by hearing the word of God but just like someone has just noted Bill and a great number of people are not born again but are religious while others claim to be spiritual but not by the spirit of God. They are Christians without Christ and that’s why all the contradiction. Reading the Bible gives knowledge while sincere prayer in faith opens the spiritual realm to us so in order to have revelation we have tp study the word and pray in faith and humility so we can know God by the leading of the Holy spirit and yes the word is inerrant. I should clarify that I am talking about the ” killing,” books where his ” co-author.” is Martin Dugard, Bottom line obviously, is by merely giving mental assent to the abstract truth that Jesus is the Son of God does not save. One , of course, has to actually be born again. It’s a sad sign of the times that one has to clarify that. Blessings to you too brother. Thank you Appolus, some good points you brought up. Didn’t know about him not writing the books himself. I pray that he and many other Roman Catholic will see the truth one day. Blessings to you. I would just make a couple of points. Where has Mr O’Reily ever given the impression that he has been born again? He is a Catholic, and why one would assume that he is born again I do not know. He has amply shown over the years that he is not a genuine Christian. This is not the first time nor will it be the last I am guessing, where his appaling lack of knowledge of the Scriptures is on display. Many right wing Christians want to believe he is a Christian because he represents their brand of politics, this is a mixture of the world and religion which never ends well. And just for the record, he does not write any of these books, he merely puts his name to it. He wil argue that he goes over every line, but editiing a book does not constitute writing a book. Pingback: Try God: What is the enemy up to now and what can we do about it? (Part 4) | Did Jesus have a Facebook Page? Among other things i am saying that you are defending you view of the bible. Not the bible. I’m not quite sure where you trying to go with this. I wrote the article because of some statements O’Reilly made that are simply not true. I’m not sure what more I can say to you. God’s word is the absolute truth and that is a fact. The Scriptures have been preserved for us to read and learn from. The Bible is the inspired word of God written by man through the inspiration of the Holy Spirit. I’m not just believing that through faith, the historicity and reliability of the Bible has been proven over and over again. The Word of God has stand up to the test of time. To your last sentence, God cannot and does not lie. Lies come from the evil one. God does not lie or hides things from His children. The Holy Spirit bears witness to the believers. I’m not sure what you objection to my article is. I just defend God’s word from people that either try to discredit the Bible or have no understanding of the Bible as O’Reilly has shown by his statements a few days ago and again last night. That is what the apologetic approach s all about. A) If the Bible would contain contradictions as some claim, than the Bible would no be the infallible word of God. Which asserts a logical (and trust me quite understandable ) imperative on the bible. This IS the only way YOU can accept the bible. Therefore it must be that way. B) “your impression is incorrect that our faith needs the bible to be innerrant”. Strictly from a logical point of view these statements are mutually exclusive. Again, i’m making no statement on the actual innerrancy of the bible. What i state however is that biblical innerrancy is dogma NOT bourne out of the bible, but out of regular common sense logic. Now has God always used innerrant means to inspire, to exhort, reprimand… Etc? Thank you Adrienne for your comment. I have to agree with you to a certain extend. People are flawed as well as Politicians and Governments. There are corrupt people on both side of the aisle. As believers we know that ultimately a one World Government will come. The word of God says so and we can see it coming. The final act has begun already. We are not of this world, but we live in this world and as long as I live and hear somebody making a remark about the word of God which is untrue as O’Reilly did, I will speak up. I do not make any distinction between the right and the left when it comes to Godly issues. It is nice to hear from you, I hope all is well with you. Blessings, Freddy. Thank you Debbie, very much agree and appreciate your feedback. Thank you Rick, much appreciated. I know that there are some that will disagree with me and that is okay. As of now, we can speak our minds without being persecuted, which may change one day. Thank you for your comments. To your question in this comment on the supposedly contradictions Bill O’ Reilly and btw many others have raised in the past. The answer is that there are no contradictions and that is a fact. If the Bible would contain contradictions as some claim, than the Bible would no be the infallible word of God.Your impression is not correct that our faith needs the Bible to be inerrant. Every believer should as Paul wrote, exam the scriptures and see if the things are so. Just as the Beran’s did.They studied the scriptures in depth and found it to be the truth. Just as them we as true believers that study the Bible know that it is inerrant. Of course we need to remember that the Bible was translated from the Hebrew, Aramaic and Greek languages and on some occasions, certain verses can be lost in translation. The translators did their best to translate the ancient text into English. The Greek language for example is much richer in words than the English language. As an example the word love. In the English, we use the word for many occasions. Like, I love my wife, I love my dog or I love hamburgers. In the Greek there are 4 different ways the word love is used. There is Eros which is physical or desired kind of love. There is philia with is brotherly love, storge, which is affection to the family for example. And than there is Agape, which is unconditional love. When the Bible uses that word in certain verses, it describes God’s unconditional love for us. That’s why we use the concordances which give us a better inside to the meaning of some words. That why when we study the word get a more complete and deeper understanding what the Holy Spirit inspired writers of the Bible wanted us to know. I have learned to compare scriptures with scriptures and if someone does not do that, they can come up with all kinds of doctrines which are slanted to fit their agenda. When someone like Bill O’Reilly makes a statement on national TV that the Gospels contradict each other without backing it up and just let it be as a fact, I will have to speak up. Many people that are not very well familiar with the Bible, will believe statements like that and take it for a fact. It;s just like people watching the History channel or watch movies like the Da Vinci Code and believe what people state or write, even if what has been said or written is false. Once something like that has been said or written, it’s out there and the damage is done. I am just defending my faith and I do not like it when people make statements without backing them up. We watch O’Reilly on occasion and know that he believes in God but not sure if he is saved. I totally agree with you that Bill needs to stick to politics. He is a great advocate for humanities and a mid to far right conservative. There are no contradictions to the Bible!! It’s the Absolute Truth!! I’ll pass along your comments to my wife who also watches Bill on occasion. FAR and BALANCED!! I would like to also add that I do find astonishing the statement: “Mr. 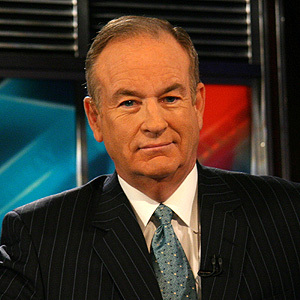 O’Reilly, there are no contradictions, “. Is it a viewpoint to which the bible must conform? or is it a fact based conclusion? I get the impression that you and others need the bible that way, meaning for things to make sense, for your faith to hold, the bible must not contradict itself. If I am right I dare say you would not be defending the bible but your view point of the bible. Therein lies a very pernicious deception. Do you trust the bible or your views on the blble? If the bible is your source of understanding… it will remain so regardless of real or apparent contradictions because presumably the teaching transcend the tool. Even if it were true that the bible has no contradiction the problem I highlighted above would still remain. You would just not have to face it. Thank you so much for sharing…many of the conservatives that I listen to, are from other faiths…it is nice to know which ones. Hope and pray they will come to know the truth! By no means am i an OReilly fan, but, an argument which consist in singling out a background in order to make a point about an individual is pretty weak at best. Amen to that. I’m not sure what will be in his book, killing Jesus, but I have the feeling from hearing tonight’s comments that he will address his supposed contradictions and other issues, once again confusing some people that are not well versed. I agree with you on praying for him. I like him as well, but as you said he is larger than life and he is opinionated and appears arrogant at times. Either way, I wish he would stick to politics. Have a blessed night and thanks for visiting my blog.